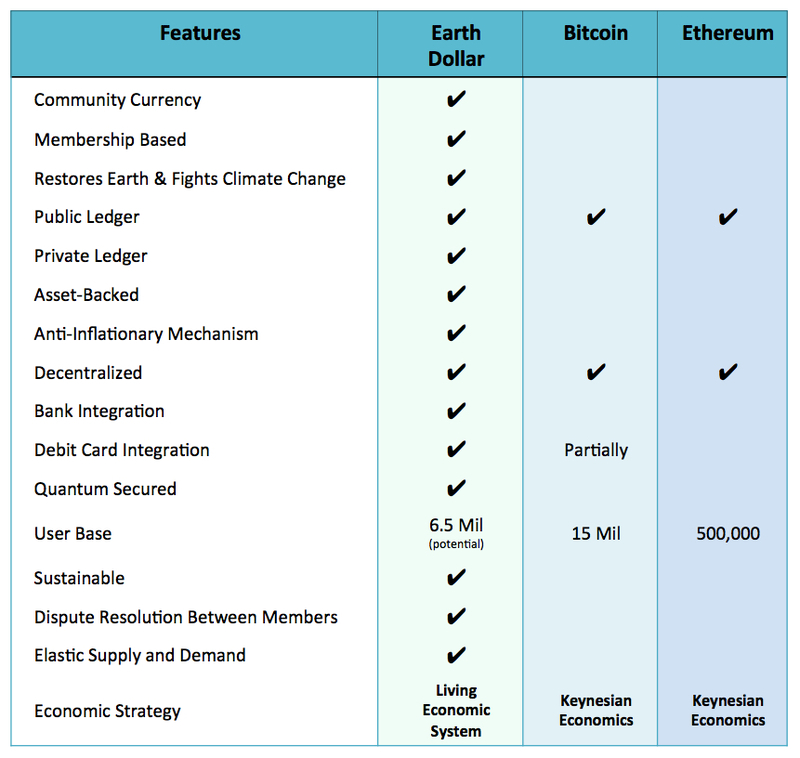 AN ALTERNATIVE ECONOMIC SYSTEM ON THE BLOCKCHAIN, FOCUSED ON PRESERVING ALL LIFE ON OUR PLANET. Instead of extracting resources, the “Living Economic System” will generate new wealth by restoring the Earth. We have developed a new “Living Economic System” built on the blockchain that can generate new wealth by restoring the Earth, instead of the current economic model of extraction and consumption. The wide adoption of the Living Economy is expected to strengthen existing economies globally, while fulfilling the Enhanced Sustainable Development Goals by 2030, including overcoming poverty. The Living Economic System is an alternative decentralized economic system created by modeling the World Bank’s Natural Capital Accounting System (NCAS)on the blockchain as an application to value the assets and generate new wealth. Natural Capital Accounting is the process of calculating the total stocks and flows of natural resources and services in a given ecosystem or region. The Living Economic System can generate new wealth from untapped assets, restored assets, new assets, dormant assets, under-used assets, unused assets and also monetize new asset classes on the blockchain. Seven indigenous nations and government districts have pledged 18,000,000 hectares of land, which will be designated and protected as World Heritage Sanctuaries. 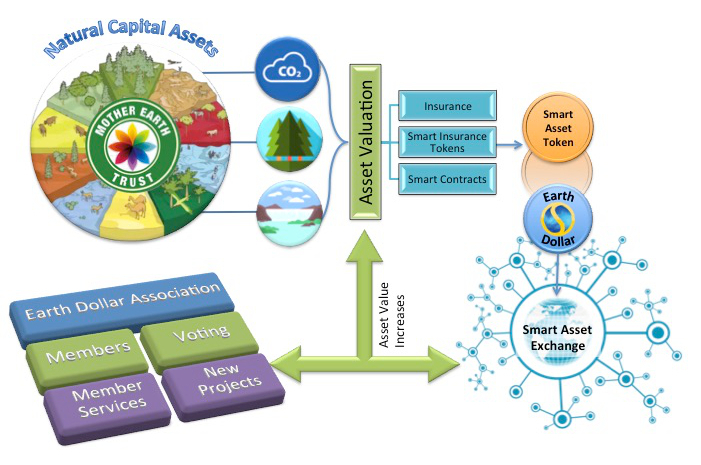 The fruits of the land (usufruct) including the Natural Capital Asset can be monetized to back the value of the Earth Dollar/Smart Asset Tokens through a sponsorship program. The seven nations are the Anishnabe (Algonquin) Nation of the Ottawa River Watershed, Aiken Lake Nation, Tsek’ehne Nation, and four government districts of Ghana. These nations have also signed an agreement to use the Earth Dollar as their alternative community currency. The Natural Capital Assets of the World Heritage Sanctuaries we co-stewarded, have an initial estimated value of 7.80 trillion CHF (Swiss Francs) (Net Present Value). We plan to use less than 50%, €3.22 trillion to back the value of the Earth Dollar/Smart Asset Tokens and to keep the rest in reserve as a buffer or contingency. We are in the process of getting 3rd party verification of the initial valuation. Earth Dollar (“ED”) is different than most fiat currencies because it is backed by Natural Capital Assets within our World Heritage Sanctuaries. The Earth Dollar’s value is secured against “Natural Capital Assets”, which will be placed in a global commons, held in a trust, and safeguarded indefinitely for the benefit of Planet Earth and all the life it supports. Global Commons is a term typically used to describe international, supranational, and global resource domains in which common-pool resources are found. Global commons include the earth’s shared natural resources, such as the high oceans, the atmosphere, and outer space. Cyberspace may also meet the definition of a global commons. The values of the assets are written into the Earth Dollar’s blockchain in the form of Smart Contracts that are publicly viewable on the blockchain. Smart Contracts outline the terms and conditions of the assets (including Insurance Assets), to generate Smart Asset Tokens – a type of digital utility commodity that represents the value of physical assets. These smaller units of Smart Asset Tokens can then be traded on a Smart Asset Exchange, representing real assets with intrinsic value that back the Earth Dollar. As the Natural Capital Assets in the sanctuaries are restored, the Earth Dollar can increase in value. For example, programs that reverse desertification, clean water sources, or replant forests will all enhance the value of the land and assets associated with it. In addition to deriving its value from the sponsorship of the assets, simply using Earth Dollar also assures the assets are safeguarded for the future. 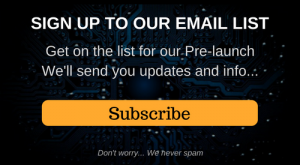 The Earth Dollar will have one of the world’s first quantum secured blockchains, which makes it relatively unhackable.